Stuffed animals like this ever adorable Winter Doll, make great gifts for kids and young adults of all ages. Here are some links to purchase or check out some of the books and DVDs mentioned in this video which talks about suggestive reading and viewing on animal training and care. The Saving a Species DVDs are all available at the gift shops at SeaWorld Parks. If you buy them at the Animal Connections Conservation Center at SeaWorld San Antonio, or at a gift shop at any one of parks, the proceeds made from the purchase goes to the SeaWorld Busch Gardens Conservation Fund. Gift certificates for animal encounters with sharks, fish, penguins and marine mammals at any facility such as Clearwater Marine Aquarium, SeaWorld, Discovery Cove, and Mystic Aquarium make great holiday gifts for the ultimate adventurer on your list. For those who have friends or loved ones who want to get into dolphin biology, here are some awesome books on the topic that they will love. Dolphin Mysteries: Unlocking the Secrets of Communication is an amazing book that focuses on the efforts of two dolphin biologists, Dr. Kathleen M. Dudzinski, and Dr. Toni Frohoff as they attempt to study and understand the secrets behind dolphin communication by studying dolphin populations in the Bahamas, Japan, and Guatemala. 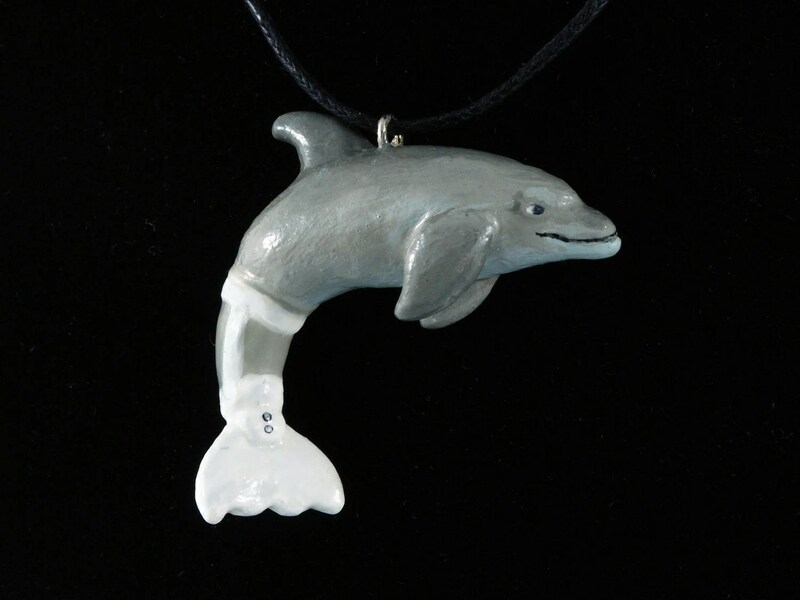 Over the years, they have found new ways to both understand and listen to the vocabulary and social signals of dolphins while providing a whole new scientifically accurate portrait of dolphins unlike any other the world has ever seen before. This is a must read for anyone who is interested in studying dolphin biology. "The Dolphin in the Mirror" is a fantastic book for anyone who is curious about dolphin intelligence and it should be ready by anyone who wants to one day work with these amazing mammals. Dr. Diana Reiss’s The Dolphin in the Mirror is a cleaver book that focuses on her experience studying dolphin intelligence. 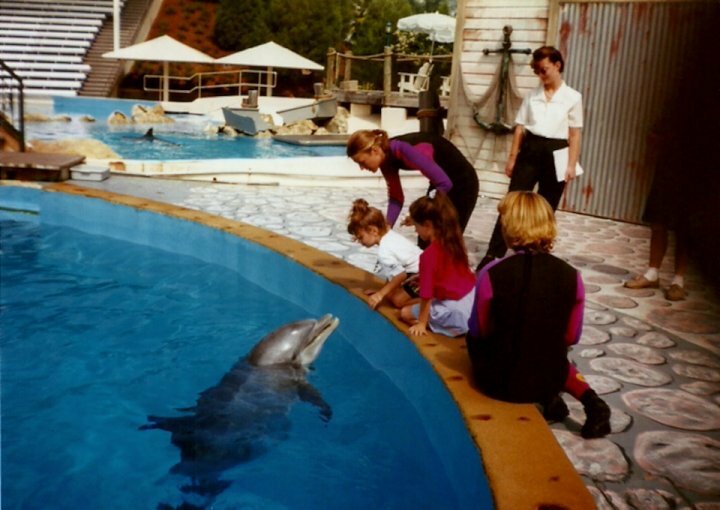 Dr.Reiss began her work on dolphin intelligence more than 30 years ago when she worked with a young female dolphin named Circe at a small aquarium in France. A few years later in the 1980’s. 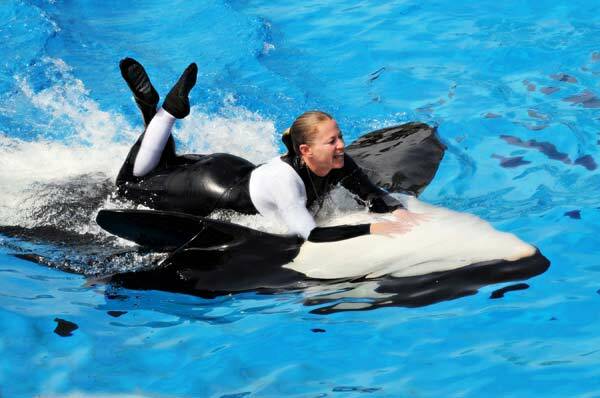 She began doing several research projects with a dolphin colony at Marine World USA (now known as Six Flags Discovery Kingdom), and has even went on to work on a successful self-recognition project with two male dolphins at the New York Aquarium in the 1990’s. Today, she is the director of National Aquarium’s dolphin research program, a member of two zoological organizations, and a professor at three colleges. She is also involved in the effort to stop the drive fisheries in Japan. Resiss’ years of observations and research done on dolphins will have you continue to appreciate these amazing animals. "To Touch A Wild Dolphin" is an incredible story about discovering the social lives of Australia's Indo-Pacific bottlenose dolphin population. Below is a review video I did on To Touch A Wild Dolphin, a classic memoir by Rachel Smolker that tells the the true story of a young researcher named Rachel Smolker, who in the 1980’s started a long-term study on a population of Indo-Pacifc bottlenose dolphins in Monkey Mia in Shark Bay, Australia. It is a classic story about dolphins that is a must read for anyone who loves dolphins, and marine mammal research. All the orca lovers on your list will love orca adoptions through the Whale Museum's killer whale adoption program. 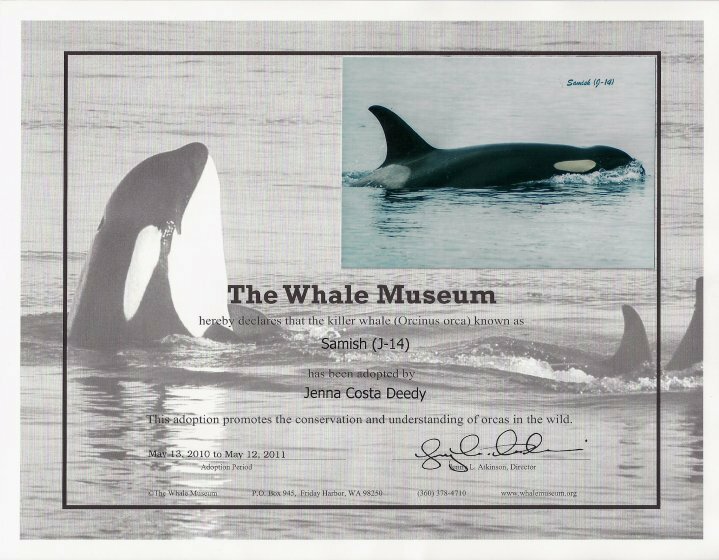 Each whale adoption comes with a certificate, photo, biography, genealogy and updates on how their whale and his/her pod is doing along with booklet on Southern Resident killer whales, and more. Hope these gift suggestions make your Holiday shopping experience a good one and Happy Holidays. 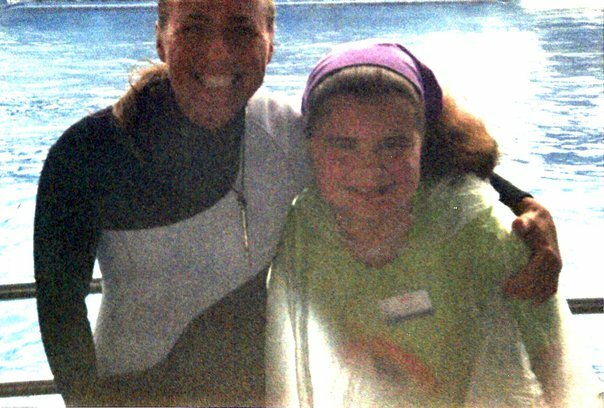 Me with Dawn Brancheau in 2007 when I was doing a camp program at SeaWorld. to a trainer. Indeed, the counselor said “yes”; so, I went down the narrow stairs and there was Dawn standing next to a small platform. When I went up to her, I introduced myself to her before we started speaking to each other about how great life at SeaWorld was, her whales for like a few minutes before I complimented to her about her performance during the show. After I arranged to have a photo of us together be taken, my counselor called me back to rejoin my group before I hugged her good-bye. It was a very special time indeed. 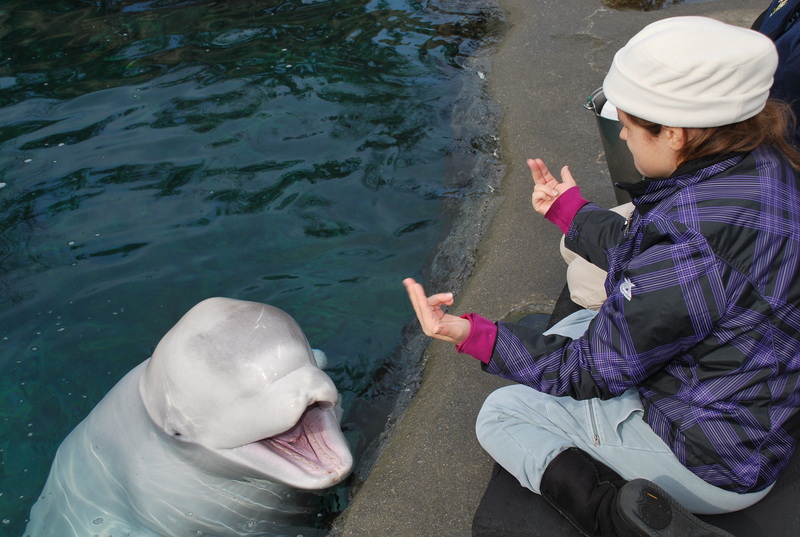 Here's me Interacting with Juno the beluga whale at Mystic Aquarium during a "Train-a-Whale" Program I took part in on November 13th, 2011. If there was one thing Dawn and I shared in common, it was the fact that our passion for marine life and hopes and dreams to one day work with animals began at an early age. 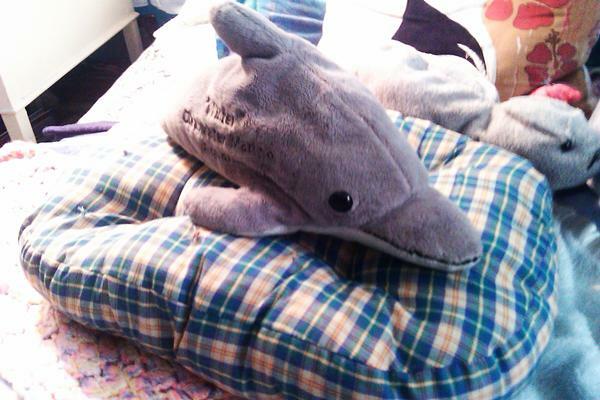 In my case, my dream of wanting to become an animal trainer began when I was only five years old when a dolphin trainer took me back stage of the Whale and Dolphin Stadium to meet a bottlenose dolphin named Jenny. 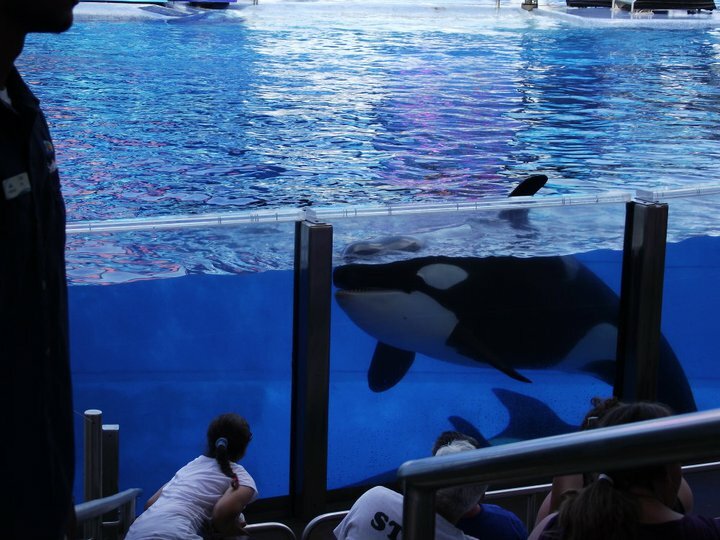 In the case of Dawn Brancheau, she decided to set her heart out on wanting to be an animal trainer after watching a Shamu show at SeaWorld when she was only nine years old. That dream did come true 16 years later for her in 1994 before she went on to train killer whales two years later in 1996. 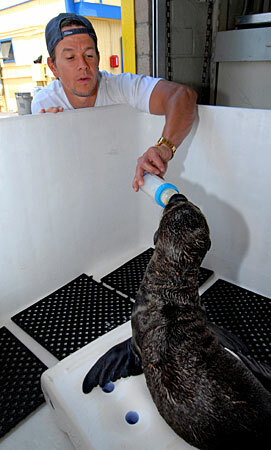 However, several years early when Dawn worked at a marine park in New Jersey, Dawn’s passion for caring for all the animals in her expanded when she provided 24/7 care for a newborn sea lion pup. From there, Dawn grew more compassion for ever animal she worked with. For me on the other hand, I still continue to follow her footsteps by getting a lot of experience with as many aquatic animals as possible, which I have several years of now. Still, after all those years, I continue to work towards that dream of one day working with animals. 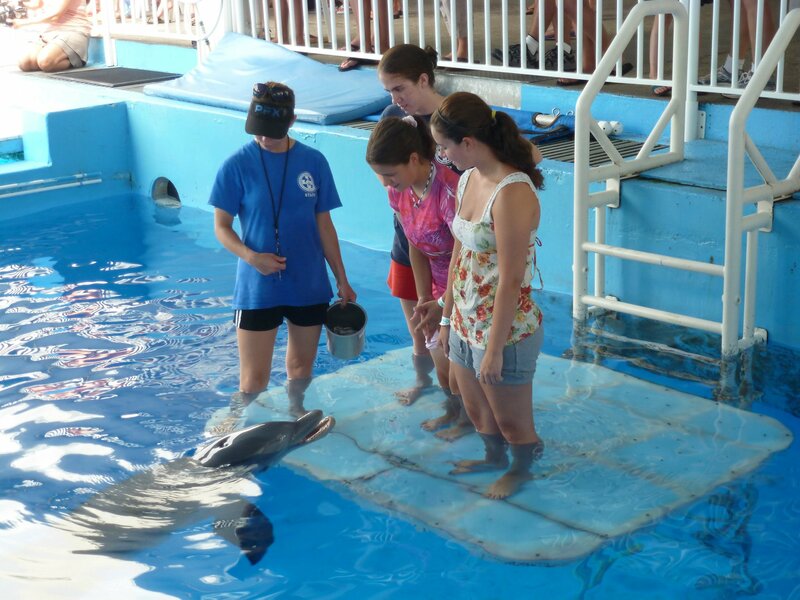 Only this time, I will honor Dawn’s legacy with every experience I acquire with every marine mammal I get to either work or interact with or through my internships at Clearwater Marine Aquarium. My very first experience with animals that started it all.....That was in 1997.